Please scroll down, enter your informaition, read the waiver below, fill in the name portion of the form and type your initials as directed indicating acceptance. ML OUTFITTERS, LLC DBA STEAMBOAT FISHING ADVENTURES This agreement is made by and between ML OUTFITTERS, LLC, DBA STEAMBOAT FISHING ADVENTURES (hereinafter referred to as “Captain Brady or said guide”) and “The Client”. This agreement shall be effective on the date Captain Brady receives Client’s deposit and both parties sign the agreement. The parties (Captain Brady or said guide, and The Client), in consideration of the mutual promises contained herein, now agree as follows: 1) Captain Brady or said guide Agrees to: A) Be insured, bonded and licensed/permitted as required by all appropriate State and Federal registration, wildlife management and land management authorities, including but not limited to Division of Professions and Occupations, Office of Outfitter Registration; Bureau of Land Management; Colorado Division of Wildlife and/or the U.S. Forest Service. B) Provide client with a guided fishing trip. C) Provide the Client with a suggested list of clothing and personal effects needed for the trip, directions to boat ramp or marina store on lake to be fished or to another meeting location if arranged, regulations, necessary application forms, arrival and departure dates and times, and other reasonable information requested by the Client pertaining to the guided fishing trip. D) Provide rules and regulations relating to fishing in Colorado. E) Provide the following agreed-upon services and/or equipment * Fishing equipment (rods, reels, lures, bait, etc.) * Guided fishing boat and all safety equipment required by law * Guide service consisting of one guide for up to three Clients * Snacks and beverages The parties understand that the dates of the trip may change for reasons beyond Captain Brady or guides control. The duration of the trip is as provided above, not-with standing the fact that circumstances, including but not limited to, weather, governmental action, staff illness, equipment failure or other factors beyond Captain Brady or subcontracted guides control may prevent fishing trips on certain days. 2) The Client Agrees to: A) Pay all fees when due and furnish all required information by the dates promised. Fish in a manner consistent with State laws and regulations, U.S. Forest Service regulations, and abide by other rules as provided by Captain Brady or guide. B) Purchase applicable license(s). C) Provide directions to and from chosen lake or any other meeting spot discussed between the parties. D) Bring sufficient but not excessive amounts of personal gear based upon clients personal preference. White sole or light colored deck shoes are strongly encouraged so that the fishing vessel is not stained and smudged by black rubber soles. E) Refrain from consuming any alcoholic beverage during the day. F) Read and sign the attached RELEASE AND ACKNOWLEDGEMENT OF RISK. All forms must be returned to (Captain Brady or guide) on or before date of trip. 3) Fees and Conditions: In consideration of Captain Brady or guide providing the services as set forth herein above (including attachments), the Client agrees to pay Captain Brady or guide the agreed sum for a one day trip, in U.S. funds in the form of cash, certified funds, or pay by credit card online, or money order, as follows: 4) Gratuities: If you feel your guide has performed well and worked hard for you, then gratuities are much appreciated but are not required. If you feel you would like to give a gratuity, a recommended amount is 20% but not required. 5) Cancellations and Refunds: The deposit shall be held by Captain Brady or sguide for and on behalf of the Client and applied against the total fee. In the event, the Client terminates this agreement, the deposit is refundable up to 7 days prior to trip date. Each Client understands that notwithstanding any other provisions of this contract that Captain Brady or employee may, at his sole discretion, return any fees paid and decline to accept Client for any reason. For any reason we need to cancel a trip, we’ll refund your deposit or apply it to a future trip. The safety of our customers is our top priority. In the event the Outfitter materially defaults in the performance of any portion of his obligations hereunder, due to circumstances beyond Outfitter's control including but not limited to weather, floods, fire, other acts of nature, governmental action, staff illness, equipment failure. The Client shall be entitled to up 50% but not more then, depending on situation and will be decided on by Captain Brady. 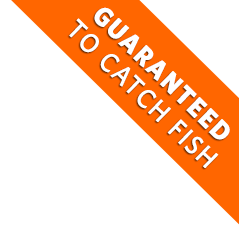 We here at Steamboat Fishing Adventures would love to clean the days catch for you. There will be bags on board provided by us, and the fish nicely gutted and rinsed to head home with you. Pursuant to section 12-55.5-105(l)(c) and (1)(d) outfitters are bonded and required to possess the minimum level of liability insurance, and the activities of outfitters are regulated by the Director of the Division of Professions and Occupations in the Department of Regulatory Agencies. Client has read and understands this Agreement, and acknowledges that it shall be effective and binding upon the Client/Captain Brady, guide, and their respective heirs, successors and assigns. A parent or guardian must sign below for any participating minor (those under 18 years of age). This Agreement shall be effective as of the latest date signed by the parties below. TRIP LIABILITY POLICY I, the undersigned, in consideration of the service of ML OUTFITTERS, LLC DBA Steamboat Fishing Adventures, its officers, employees, agents or representatives, hereby agree to release and discharge ML OUTFITTERS, LLC DBA Steamboat Fishing Adventures on behalf of myself, my heirs, assigns, personal representative and estate as follows: 1. I understand and acknowledge that the activity I am about to voluntarily engage in as a chartered fishing trip on a triton boat with an outboard engine. The participant and/or volunteer bears certain known risks and unanticipated risks which could result in injury, death, illness or disease, physical or mental, or damage to myself, to my property or to spectators or other third parties. The following describes some, but not all of those risks. Risks include, but are not limited to: death, drowning, bodily injury, sunburn, animal bites, and other harm, which may be encountered in participating: in guided fishing trips on a motorized pontoon, kayaking, canoeing, guided and unguided fishing, encounters with wildlife, camping, guide error, travel and those activities associated therewith. 2. Being aware that this activity entails known and unknown risks of injury to myself and a risk of injury to spectators or other third parties as a result of my actions, I expressly agree, and promise to accept and assume all responsibilities and risk of injury, death, illness or disease, or damage to myself, to others, or to my property, arising from my participation in this activity. My participation in this activity is purely voluntary, no one is forcing me to participate, and I elect to participate in spite of the risks. 3. I hereby voluntarily release, forever discharge, and agree to hold harmless and indemnify ML OUTFITTERS, LLC DBA Steamboat Fishing Adventures, its agents or employees, and all other persons or entities from any and all liabilities, claims and demands, actions or rights of action, which are related to, arise out of, or are in any way connected with my participation in this activity, including specifically, but not limited to the negligent acts or omissions ML OUTFITTERS, LLC DBA Steamboat Fishing Adventures, its agents or employees, and all other persons or entities, for any and all injury, death, illness, or disease, and damage to myself or to my property. In signing this document I fully recognize that if anyone is hurt, drowns or property is damage while I engage in this event, I will have no right to make claim or file a lawsuit against ML OUTFITTERS, LLC DBA Steamboat Fishing Adventures, or its officers, agents, or employees. 4. Should it become necessary for ML OUTFITTERS, LLC DBA Steamboat Fishing Adventures or someone on their behalf, to incur attorney’s fees and costs to enforce this agreement or any portion thereof, I agree to pay all the reasonable cost and attorney’s fees thereby expended, for which liability is incurred. 5. I certify that I have sufficient health, accident, and liability insurance to cover any bodily injury or property damage I may incur while participating in this event and to cover bodily injury or property damage caused to a third party as a result of my participation in this event. If I have no insurance, I certify that I am capable of personally paying for any and all such expenses or liabilities. My signature below indicates that I have read this entire document, understand it completely, understand that it affects my legal rights, and agree to be bound by its terms. WAIVER AND RELEASE AGREEMENT INDEMNIFICATION In consideration for the above minor being permitted by ML OUTFITTERS llc, DBA STEAMBOAT FISHING ADVENTURES its directors, officers, agents, employees, and volunteers to participate in the activity of fishing which includes, without limitation, the use of its services, property and equipment, I agree to the following waiver, release, and indemnification: The undersigned parent, guardian, or custodian of the above minor, for himself/herself and on behalf of said minor, hereby joins in the foregoing Waiver and Release and hereby stipulates and agrees to save and hold harmless, indemnify and forever defend from and against any and all claims, actions, demands, expenses, liabilities (including reasonable attorney fees, ML Outfitters llc, dba Steamboat Fishing Adventures its directors, officers, agents, employees, and volunteer’s), and NEGLIGENCE made or brought by said minor or by anyone on behalf of said minor, as a result of said minor’s participation in the activities of today’s guided fishing trip and his or her use of the services, property and equipment of ML Outfitters llc, dba Steamboat Fishing Adventures its directors, officers, agents, employees, and volunteers. I, for myself and on behalf of said minor further agree not to sue ML Outfitters llc, dba Steamboat Fishing Adventures its directors, officers, agents, employees, and volunteers as a result of any injury, paralysis, disability or death that said minor suffers in connection with his/her participation in the activities of today’s guided fishing trip. Waiver Acceptance - Type initials in this field indicating understanding and acceptance.